All estimates are free and quoted directly from Rick himself. Our work is 100% guaranteed. Rick’s Lawn & Landscaping, Inc. is your premiere landscaping and lawn care service. 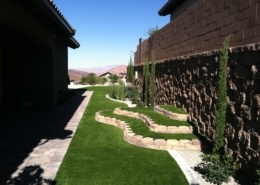 We offer a full line of services from design to installation, as well as the maintenance of beautiful outdoor spaces. 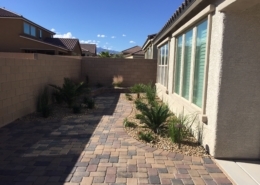 Rick Alcock is a BBB-accredited, “water smart” contractor with over 30 years of experience serving the Las Vegas area. From day one, you can expect to deal directly with Rick himself. 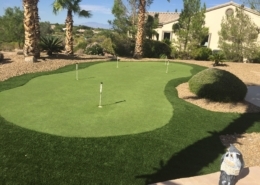 We work on landscapes all over town: from North to South, East to West and Boulder City to Lake Las Vegas. 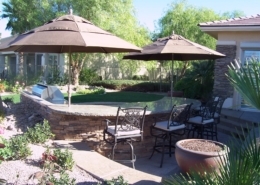 If it’s outdoor living you want, Rick can create it for you – on call and at your service! 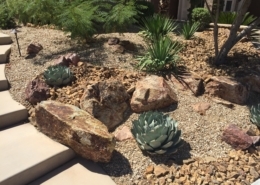 The dry, hot climate in this area presents many unique landscaping challenges to keep your yard and surrounding grounds looking their best. We understand these challenges and know the secrets to maintaining healthy and sustainable plants and outdoor fixtures. We currently offer full-service maintenance monthly, bi-weekly or weekly to the West Las Vegas area. on all plants & trees with installation.